A quality set of tires is essential to keeping your vehicle on the road. Our tire centre offers the best prices on tires, offering the top brands and expert advice on selecting and maintaining your tires. From winter tires for sale to a selection of all season and performance options, we will find you something to match your car, truck or SUV.  Take a look at our incredible prices on tire services and products and browse our technician’s most frequently asked questions. Here at Prince George Toyota we are tire experts. Contact Phil today to discuss your needs. Get the top tire brands at the best prices regardless of your needs. We're the home of Price Match Promise! Find your tire specials here. Potholes, speed bumps and wear and tear can alter your wheel alignment. 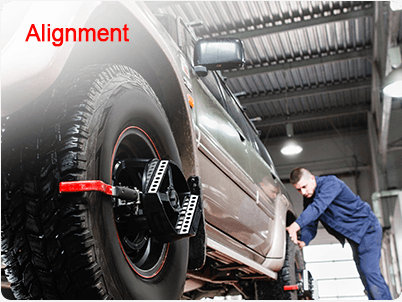 Take care of your tires and your vehicle with a tire alignment starting at $124.50. 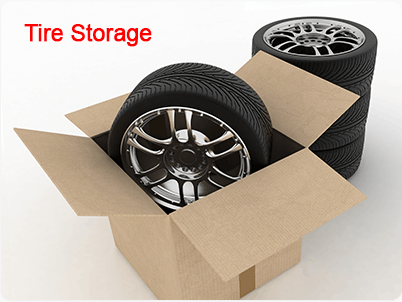 Don't waste storage space in your home storing seasonal tires. Keep your tires safe in the off season for $59.95 per season with a one time purchase of tire bags for $49.95. Toyota has a convenient way to remind you it's time for a tire change. 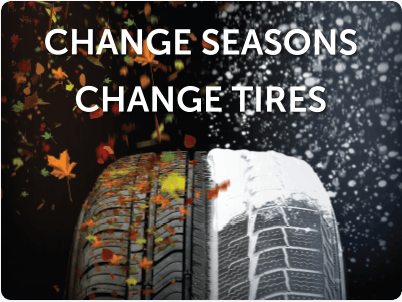 Talk to our service centre about changing your seasonal tires and the gentle 7-degree reminder. Does AWD impact my tire wear? Having an expert take a look at your tires is the best way to keep you tire healthy, AWD or not. The back tires on your rear wheel drive vehicle will wear a little quicker than your front tires if you alignment is correct. When rotating the tires on a rear wheel drive, move the rear tires to the front but keep them on the same side. When should I change out my seasonal tires? When you are living a cool weather climate, the rule of thumb is to have your winter tires in place when the temperature is predicted to be 7 degrees celsius and lower. Winter tires are designed to give exceptional traction when the exterior temperature dips below 7 degrees and this is the ideal temperature to have them changed over. Winter / all season / performance tires, what’s the difference? Different weather conditions call for different tire designs. Tires are comprised of different tread depth and rubber compounds and are meant to react to specific weather and road conditions. For example, winter tires are comprised of a softer rubber compound allowing for better grip in cold temperatures. You should consider replacing your tires (especially if wet road conditions are common) when the tread reaches a depth of 5/32". Once you reach the depth of 4/32" to 3/32", it is time to replace or closely monitor your tires wear.